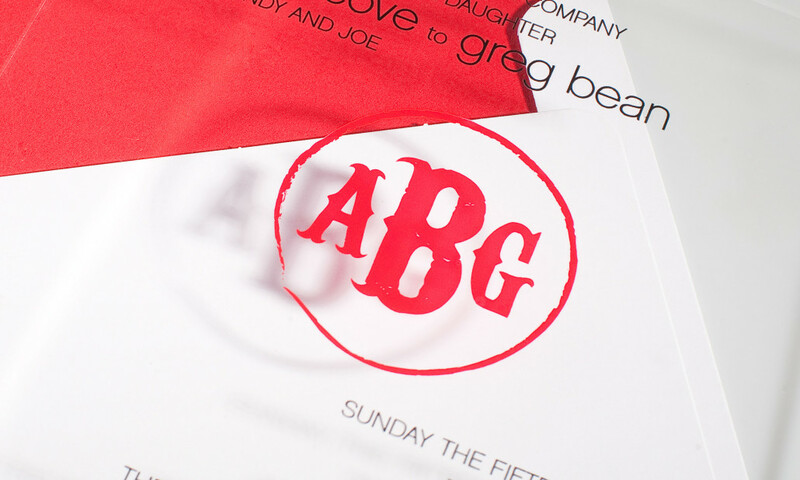 This invitation blends modern materials and typography with a western brand-style monogram as the focal point. 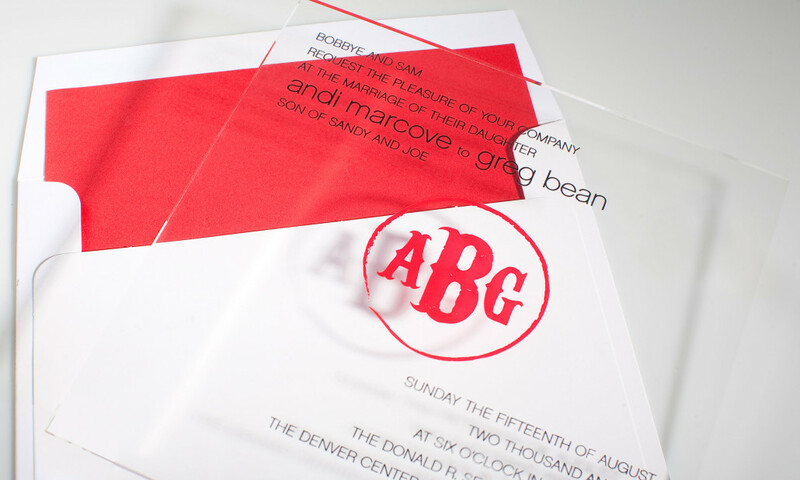 A white envelope with a bright red liner complete this large square clean invitation set. Just perfect for a Texas bride.